Visit the Montclair Art Museum as it hosts COPE Center's annual Derby Day Celebration, in which proceed will go towards their expansion. COPE Center works for critical healthcare needs in Essex County. Photo courtesy of COPE Center. The COPE Center expands due to the high demand for treatment services related to the surging opioid addiction in Northern Jersey increases. It has secured nearly 2,000 square feet of additional space for group and individual education. The new center will be located at St. Luke’s Episcopal Church on South Fullerton Street and is scheduled to open in late spring. COPE’s annual Derby Day Celebration will be on May 6 at the Montclair Art Museum and tickets are being sold for $90. Derby Day was founded by John Helm, who was an instrumental in the growth of COPE. “It’s just fun and unique and has evolved into a fan favorite with the race live streamed on a huge screen at the Montclair Art Museum. 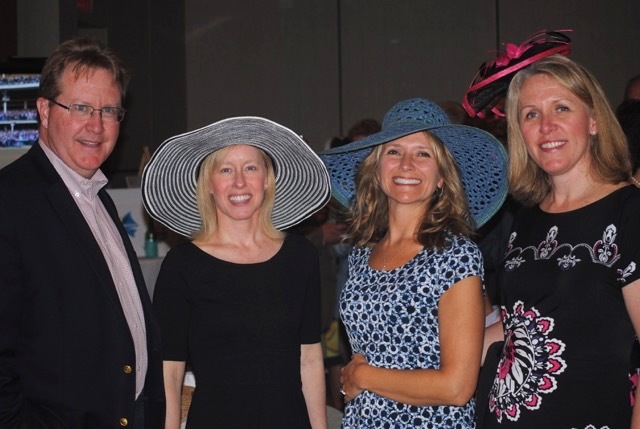 We serve mint juleps and delicious Southern food and there’s even a prize for the best hat,” said Diana Fennelly, President of COPE Center Board of Trustees since May 2016 and member of the board since June 2014. COPE stands for Counseling, Outreach, Prevention and Education. The COPE Center focuses on behavioral healthcare and supportive services that are accessible, affordable and responsive. They have served more than 2,000 children, teens and adults within Montclair, Glen Ridge, Bloomfield, Belleville Nutley, Verona, Cedar Groves, Newark, Roseland, the Oranges and the Caldwells. The average length of stay for these clients has increased to 6 months as recovery takes longer to stabilize. “Our goal is to serve more clients especially those with co-occurring issues (substance abuse and mental health). Since 2013, the number of patients with co-occurring disorders has grown from 26% to nearly 50% since November 2016,” said Fennelly. It was founded for forty years by the United Way of North Essex and the Junior League of Montclair, COPE is a non-profit agency that provides quality health care services that are affordable, accessible, and responsive to individual, family and community needs. Its counselors work in the areas of drug and alcohol abuse, family crises, problems in daily living, and AIDS. “I had been doing a great deal of fundraising for my son’s school and since he was graduating I needed to move my focus to other causes. My friend was on the board of COPE and invited me to help with some fundraisers and they asked me to join the board,” said Fennelly. For further information, please visit their website copecenter.net or by calling 973-783-6655.